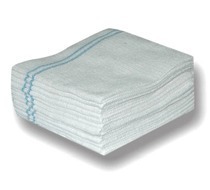 We are manufacturer and supplier of cotton cloth which is manufactured using high grade raw material. Our high quality cotton fabric manufactured by us is highly demanded by the nationwide customers owing to their quality features like color fastness, shrink, tear & wear resistance and soft texture. To meet the customer’s specific requirements, we also customize these cotton fabrics in terms of length & width, colors and quality as well. It has been specially designed in different design patterns to cater the customer’s ever-changing choices. As a leading cotton fabric manufacturer, we bring forth for you a vast variety of cotton clothes as per the modern design patterns. Established in the year 2014, we “Samriddhi Industries” are a prominent firm that is engaged in Manufacturer and Wholesaler a wide range of Rubber Sheets, Thermocol Sheet, Box Strapping Roll, etc. Located in Jaipur (Rajasthan, India), we are a Sole Proprietorship firm and manufacture the offered products as per the set industry norms. Our valued clients can avail these products from us at reasonable rates. Under the headship of our mentor “Mr. Pavan Gupta” ( Branch Head ), we have gained a remarkable and strong position in the market.